Now Playing on Classic FM in the UK! Okay, a Christmas treat is coming for our fans in the United Kingdom. We just received a request to play our Youtube Video of "In the Bleak Midwinter" from the prestigious Classic FM! If you live in the UK you can download the App HERE. So honoured to be included in their stellar lineup of Christmas music for 2018! Here is "In the Bleak Midwinter" for viewers and listeners not in the U.K.
Stairwell Caroller concerts now On! 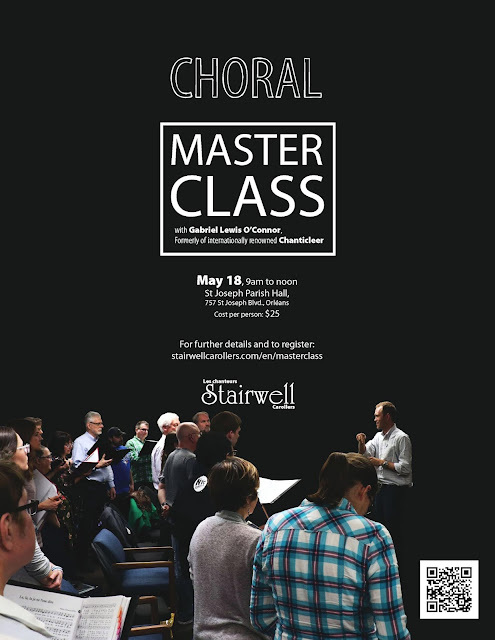 Our a cappella choir came to be in 1977 while director Pierre Massie was a music student at Ottawa University. Ranked among the best of Ontario choirs, we won both the 2010 and 2013 Ontario Music Festival Association competitions. The Stairwell Carollers help local charities with net proceeds from concert, CD and cookbook sales.